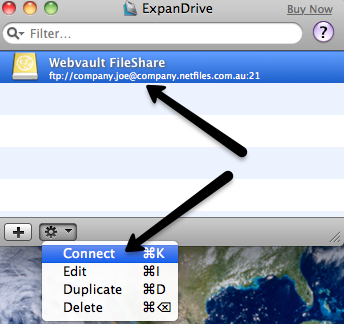 ExpanDrive is a third party software client for MacOS which allows you to access your WebVault FileSharing service just like any other storage drive on your Mac Computer. 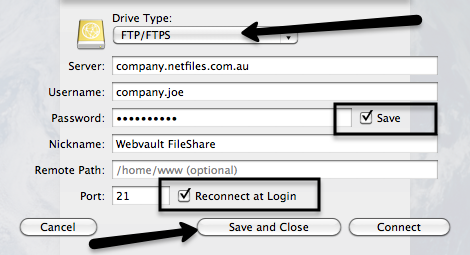 This tutorial shows you how to download, setup and connect to your WebVault Fileshare using ExpanDrive. On your MacOS computer Download ExpanDrive by Clicking Here! Once the ExpanDrive Zip file has been downloaded, click on the file to install the application. NOTE: ExpanDrive is NOT free software, after the initial 30 day free trial it costs $39.95 and you can purchase the software online! 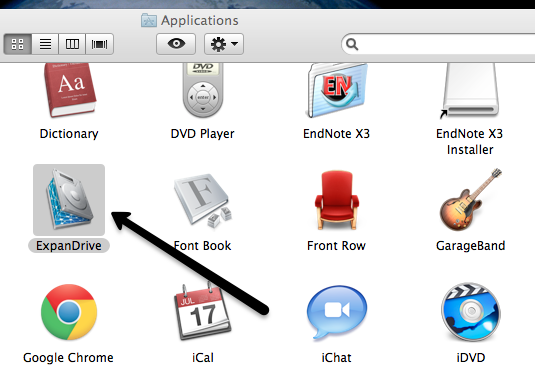 After installation, locate your application icon on your Mac computer and open the ExpanDrive software. In the ExpanDrive window, click the Plus button in the bottom left hand corner to add a new file sharing drive connection. Choose FTP/FTPS from the list of Drive Types. Then type in your server setting, username and password as supplied by your service provider. Enter an appropriate Nickname for your new drive. Select the Save option and Reconnect at Login options as shown to have your drive always available once you connect your computer to the internet. Click the Save and Close button. 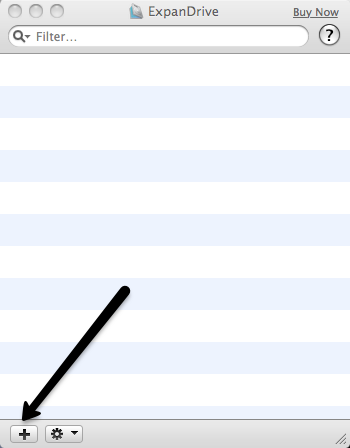 Select your new drive connection from the list, drop down the options list button as shown and select the Connect option. 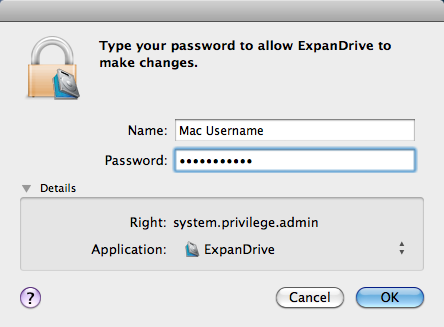 If this is the first time you are connecting to the FileShare on your MacOS computer, you may be asked to enter your computer username and password so that ExpanDrive can make administrative changes to your computer. Enter your computer login details as shown. NOTE: This step requires the login to your MacOS computer and must have administrative privileges. 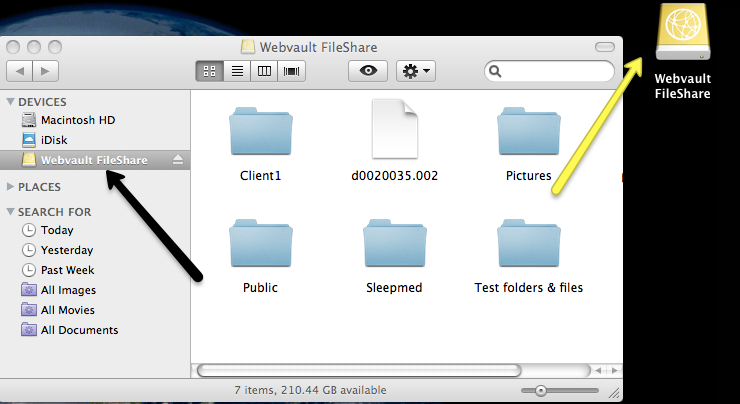 Do NOT enter your Webvault FileSharing username and password. If you have successfully connected, you should see your new FileSharing drive in the list of Devices on your computer, and can access your online files and folders. You should also have a convenient icon located on your desktop as shown.